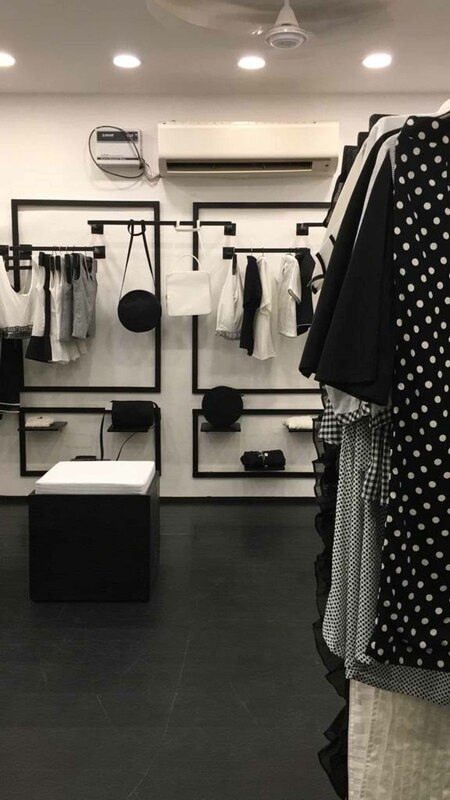 Started by mother-daughter duo, Sapna Kumar and Ananya Kumar, AT44 is the new go-to store for monochrome-lovers. The label – inspired by the all-enveloping ideologies of both the extremes of the colour spectrum – infuse the classic combination of black and white in all their garments. They carry a variety of clothes, from western streetwear-inspired jackets and loose suits to sharp and chic kurtis and saris, even incorporating fabrics such as jute. The store, which opened on January 9, 2019, follows a consistent aesthetic with its white-washed brick and mortar wall sporting patches of black. 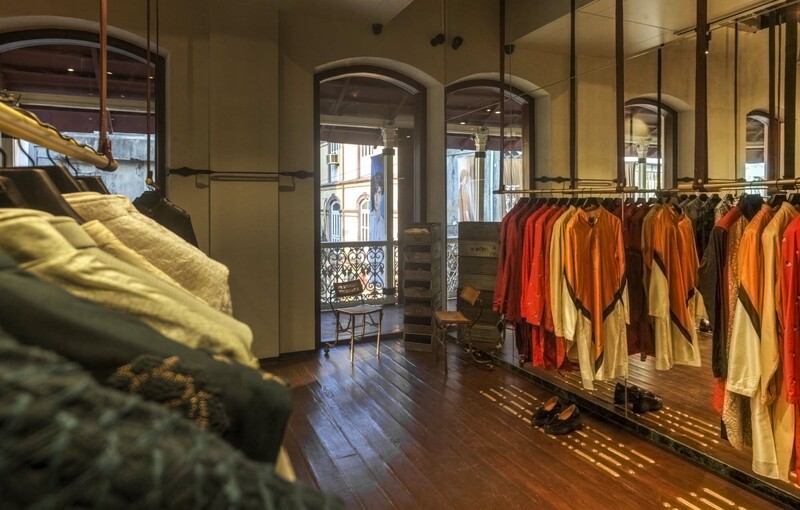 From Delhi, Mumbai and Hyderabad, Tarun Tahiliani’s taking the influence of his eponymous brand eastward with a new store in Kolkata, which opened on January 19, 2019. Emulating Kolkata’s old-world charm, the store is located in the city’s first heritage manor, now refurbished with intricate brass inlay and exquisite wooden dado work, as the Galleria 1910. In it, spread across two floors is Tahiliani’s ready-to-wear as well as occasion-wear collections, with hints of bridal-wear and menswear as well, all in his signature, lightweight style, ranging from saris to suits and more. Upon the launch, Tahiliani says, “Kolkata has always had the most exquisite mix of architecture and a bustling vibe of a metropolis, a city where tradition has been kept alive”. Located in the artistic and cultural heart of South Mumbai, in Kala Ghoda’s iconic Rhythm House, Kunal Rawal’s new store, under his eponymous brand launches tomorrow. 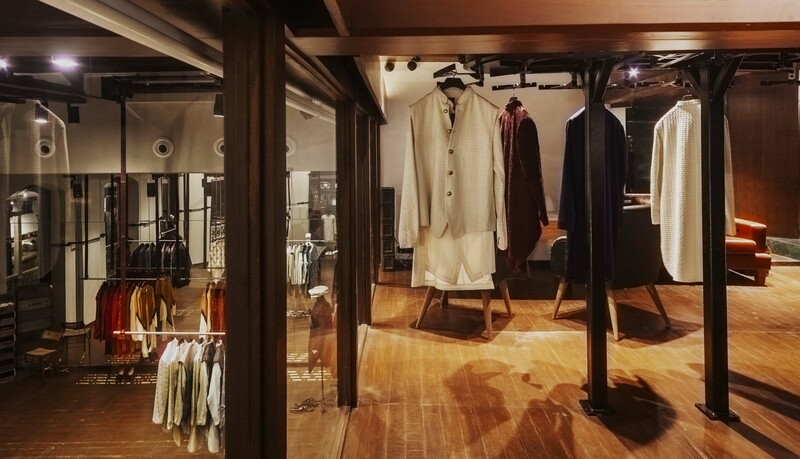 The menswear designer’s second store in the city was designed by Rooshad Shroff and incorporates some cutting-edge technology, from motorised racks to conveyor belts for quick guides through the collections. Its décor – quite like Rawal’s design aesthetic – includes signature brand elements, such as armour lines and French knots. The collections showcased here will revolve around anti-trend ideas, rendered through Indian and Indo-western festive-wear staples, such as sherwanis and jackets in experimental textures, colours and techniques.